In skillet over medium heat, add ground beef, breaking meat up as it cooks. Season ground beef with salt, pepper, chili powder, minced garlic and cumin. Cook meat until no long pink. Stir in green chiles. Spoon meat over tortilla chips. Sprinkle cheese, lettuce, chopped tomato and green onions. Serve. I need nachos now! Looks good! 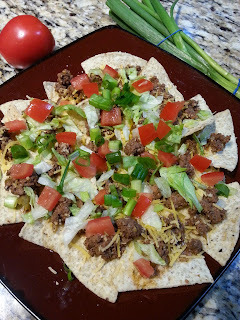 Nachos are one of my favorites! 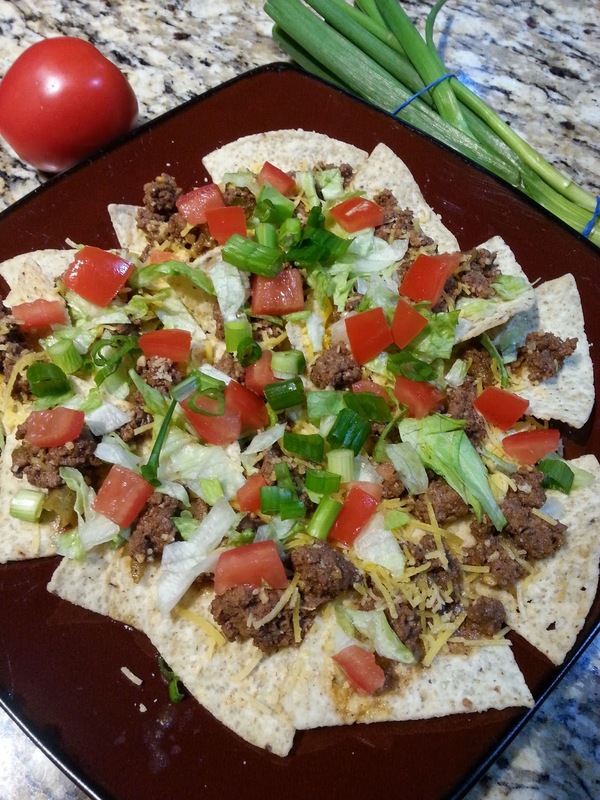 Love this combination of crunchy chips, savory and spicy flavors, a little fresh veg... Perfect!